February 8th, 2016. The stars came out in force for the launching of the Chevrolet FC pitch in Hawthorne, Los Angeles. The eighth project in our award-winning partnership with Chevrolet brought out Manchester United legend Dennis Irwin, LA Galaxy/USMNT and Hawthorne native Gyasi Zardes, LA Galaxy player and former England international Steven Gerard, LA Galaxy players A.J. DeLaGarza and Baggio Husidic, and team president and former USMNT player Chris Klein. This impressive group of individuals were there to witness the power of play and see the beautiful possibilities that Chevrolet FC creates. 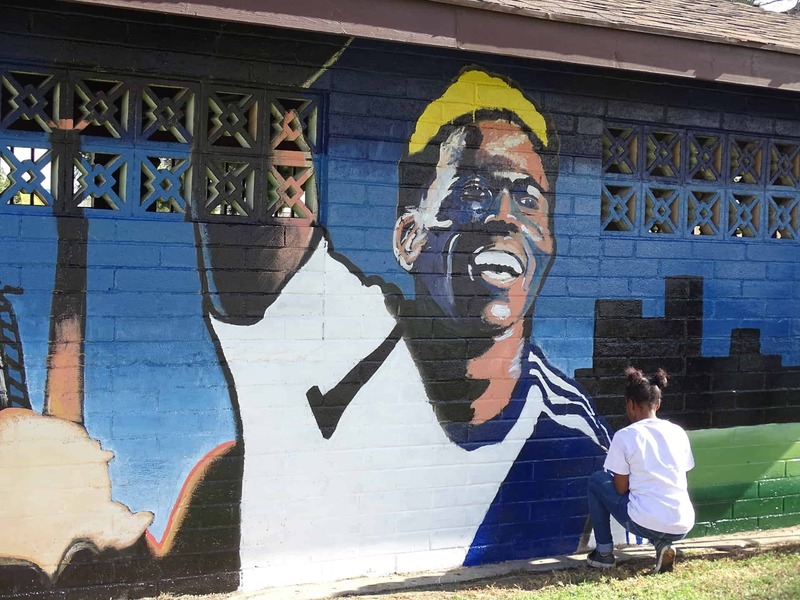 Hawthorne, California was where Gyasi Zardes (LA Galaxy) grew up. As a child, Zardes was forbidden from playing in the park where they new pitches were created as they instituted a “no soccer” policy on park grounds. 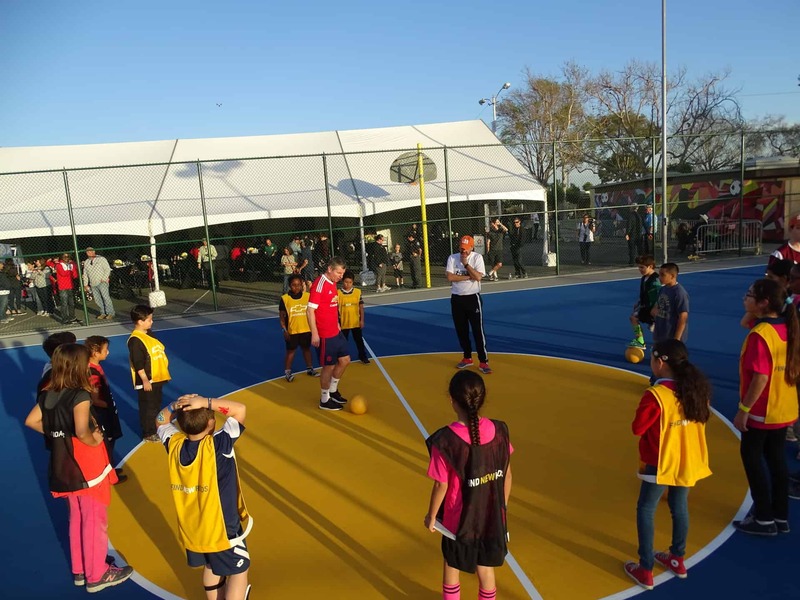 However together with the Hawthorne Police Department and the Parks and Recreation Department, Chevrolet FC has helped to change attitudes as they built three new futsal pitches in place of some unused and derelict tennis courts. 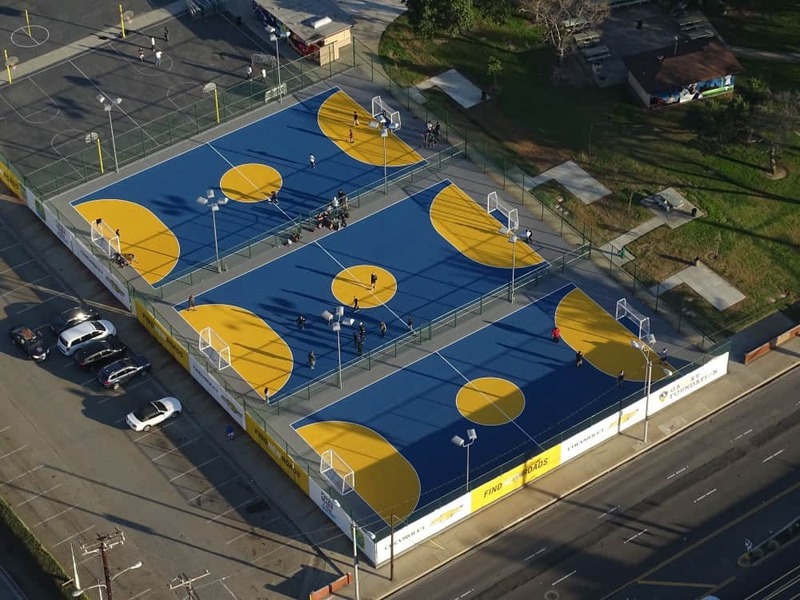 These futsal courts are now the focal point of the community. Coaches Across Continents has been working throughout the project with the LA Galaxy Foundation and the Hawthorne Police department to ensure that this safe space can be used for social impact, and that the local coaches, police officers, and community leaders have the skills to do so. In future, Hawthorne may see more great players emerge from their community, and tens of thousands of children will be able to enjoy the facility and learn from the sport in their new space.